Tamsin has worked within HR for several years, her specialist expertise is talent and resourcing, and her qualification route focussed on learning and development. Prior to working in HR, Tamsin wrote careers information and guidance materials for a publishing company. She really enjoys working with individuals and teams to help them to develop. Tamsin is currently completing ILM Level 5 coaching qualification and has experience of coaching both within the University and externally. Her style has been described as quiet but effective, and she enjoys using creative methods to help individuals find their answers. Tamsin's role as an HR Business Partner is to partner with senior leaders to enable them to deliver the University strategy – this involves taking on the role of strategic planner, facilitator, trainer, expert advisor, project manager or critical friend. Her particular area of expertise is talent and resourcing. Tamsin has worked in HR for six years. She started her working life as a project manager for The National Trust, before moving into publishing. She has written and edited a number of books on careers, advice and guidance. Tamsin started her HR career in a learning and development role where she first started working with individuals on their development, which she has been passionate about ever since. In her last role she set up and ran a resourcing team and was responsible for all talent attraction and selection strategies. She is passionate about recognising and developing individuals’ talents and particularly enjoy helping people develop their leadership skills. Tamsin is currently studying ILM Level 5 in Coaching and Mentoring. 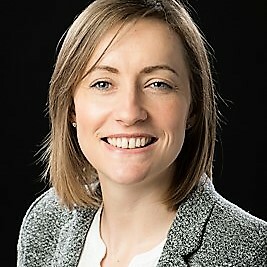 Tamsin is a member of the CIPD (Chartered Institute of Personnel and Development), and CIPD qualified to Level 7 in Human Resources Development. Prior to this Tamsin completed an MSc in Social Research Methods and a Degree in Sociology.